There are very few companies that have the same dedication to their clients as Lunardi Moving Services. This local moving company has the personal touch but a full range of services that rivals a nationwide provider of moving services. Their expert movers will be able to offer storage solutions, piano relocation services, packing assistance and many other useful services. 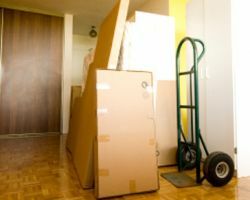 Whether you are moving house, apartment or relocating your office, you can be sure the prices will always be right with Lunardi Moving Services. The expert business and house movers at Valley Relocation have extended their services to a wide range of needs. They are now able to assist customers who are looking for both international and nationwide moving services. It is very rare to find a moving company that is able to carry out both residential and commercial moves to the same high quality. 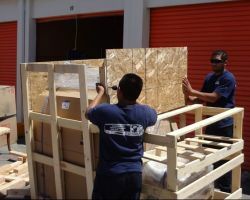 They are also able to assist with more unique moving needs such as technology, motorcycles, medical equipment, office and large furniture relocations. When you are looking at moving home or the location of your business, you should really only settle for the best. From the reviews of San Jose Movers you can see that this company offers the most reliable and efficient service in the whole of California. Their team of expert movers is able to relocate all of your possessions with complete safety. You can call their customer service team for a free quote or to get their incredibly useful advice. There are many San Jose movers, so it becomes very difficult to know which one to choose. Golden State makes the decision simple with all of their fantastic benefits. Not only will they guarantee all of your possessions will arrive at your new home quickly and safely, but they also offer a cheap set of rates for your move. Knowing that your moving company’s fees aren’t going to blow the budget means you will be able to sit back and relax on moving day. 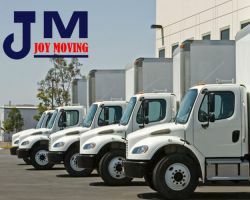 Often moving companies in San Jose, CA will forget that they need to offer more than simply getting your possessions safely from point A to B. Joy Moving understands exactly how stressful moving day can be. This is why the owners of this company only hire the friendliest movers and packers. Not only will their team be able to put a smile back on your face but they are also the most professional and affordable moving service in San Jose.